I have to say, kiwi strawberry is one of my favorite fruit flavor combinations. I greatly enjoy both strawberries and kiwis on their own, so combining them is magic. It’s sweet, it’s tart and considering the health benefits of both, it’s incredibly good for you. This is an especially good time of year to make smoothies featuring strawberries because you can get them nice and fresh from local farm stands or farmers’ markets. Cut the kiwis down a bit before putting them in the blender. If your strawberries are large, cut them down a bit too. If they’re small you’re fine putting them in whole. 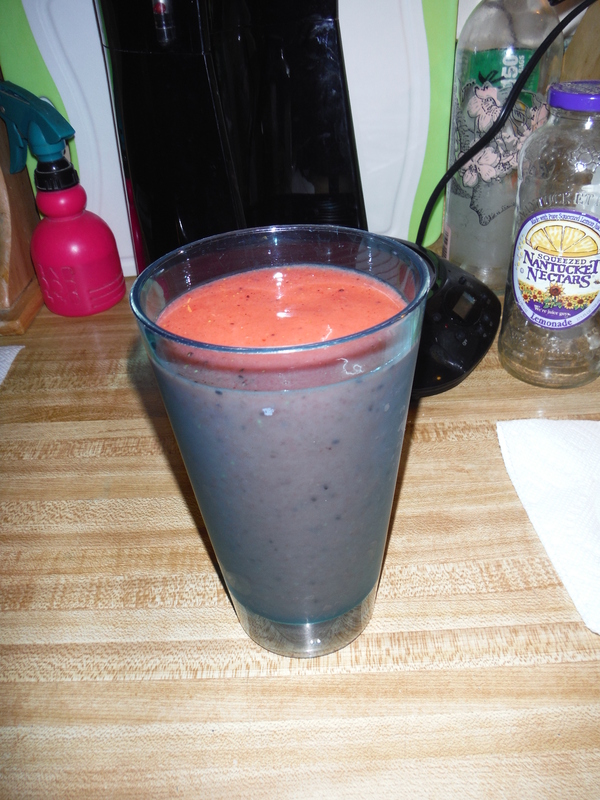 Blend the first 3 ingredients first, until ice is crushed and fruit is well broken up. Add the rest of the ingredients and blend for at least 2 more minutes. How much sugar you’re going to need really depends on how sweet/ripe your strawberries and kiwis were, so make sure to taste as you go. Once the flavor is to your liking, pour into a large glass, and enjoy! 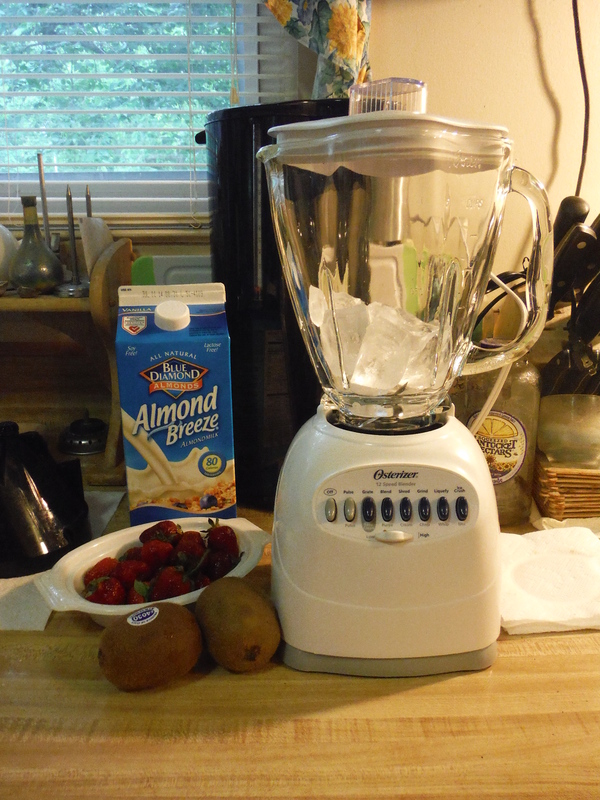 Posted on July 6, 2014, in Etcetera and tagged breakfast, easy, gluten-free, healthy, It's a winning combination, kiwi, recipes, smoothie, Smoothie Sunday, strawberries, summer, yummy. Bookmark the permalink. 1 Comment.